Sealed in archival matte varnish. Finished in satin gel medium. Framed by artist in mahogany stained pine and found yardsticks. Acrylic on found clipboard (pressed hardboard masonite wood). Scream London present ‘Exceptional’, a group exhibition that connects seven artists with disparate working practices who share a minimalist sensibility. Employing a range of different methods, each artist has developed a unique way of working with processes such as erasure, visual systems or spatial investigation. Their practices are often labour intensive, contrary to the reductive nature of the final work. The work presented in ‘Exceptional’ offers a contemporary vision of the traditions of abstraction. Some of the artists draw inspiration from the lines of urban architecture, some from surface and texture, and others from vintage system grids. Their work, however, avoids a nostalgic view of modernism and sits confidently within a post-digital landscape. The distinctive journeys that each of the artists go on in their daily routines in the studio are what brings them together in this exhibition. 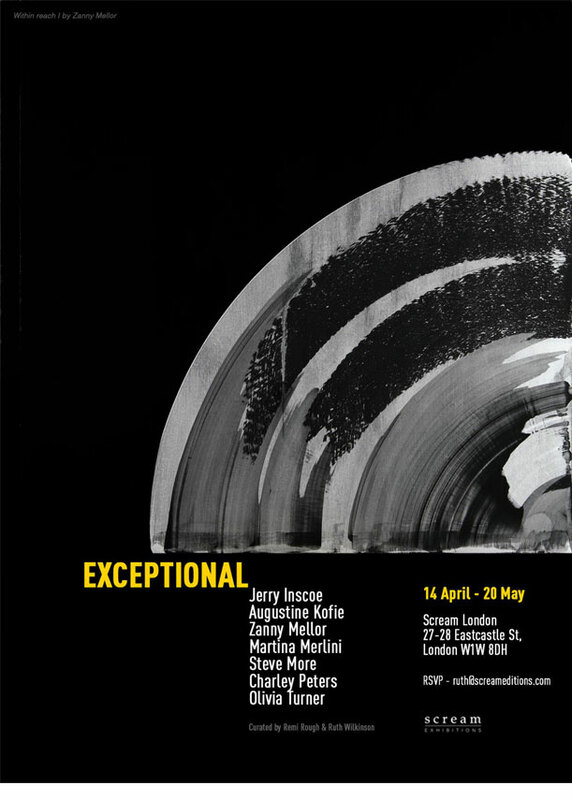 ‘Exceptional’ because nobody else makes work in the same way that these seven artists do. ‘Exceptional’ because the work is unique, not printed or manufactured but considered, built, erased, layered, constructed and painted by their own hands, using their own inimitable processes with incomparable results.